A recent story for Fox News discusses how millions of elderly Americans who are living in poverty could be taking advantage of the Supplemental Security Income (SSI) benefits program under the Social Security Administration (SSA). As our Boston disability lawyers understand, SSI benefits are available to citizens who are over the age of 65, or, if under 65, must be blind or permanently disabled. This program is only for people under a specific income limit, as well. While statistics reveal that 8 million people are receiving SSI benefits, of that group, only 25 percent of the claimants are over the age of 65. The vast majority of SSI claimants are ether disabled or blind. Researchers believe that nearly half of the eligible seniors are not receiving SSI benefits, despite being qualified. One of the major reasons that people are not applying for this type of disability benefits seems to be a lack of awareness of the program. 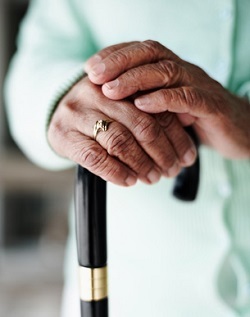 The elderly citizens eligible for the disability insurance program are often at a point of poverty where they are skipping meals and unable to heat their homes during the winter. The SSA administers both SSDI and SSI. SSDI benefits are designed to give assistance to people of any age who can no longer work due to injury or illness. The challenge faced by most SSSDI applicants is proving that they are really disabled within the strict, and seemingly archaic, guidelines of the SSDI program. The SSA will typically have a vocational specialist claim that you can do some type of work and are therefore not disabled. Even if you were a high paid helicopter mechanic, the vocational expert may testify that you are able to work as a grocery bagger and are therefore not disabled. In addition to proving disability, under the SSDI program, you must have had a vocation that is outside of the home. The SSI program, on the other hand, does not require the claimant to have a history of work outside of the home. You will have to establish that you are substantially below the poverty line and have no significant assets. The problem with SSI benefits is that there is a cap designed to return you to an income level that is still below the poverty line, even when combined with your other household income. If you are disabled and unable to work, you should contact a disability attorney as soon as possible. You will need to discuss with your attorney under which disability program to file a claim. It is worth noting that the SSA initially denies more than half of all disability claims. If you have an attorney to assist you, the process may not take as long, and there will likely be a greater chance of you being awarded disability benefits.